Mondays just got better! 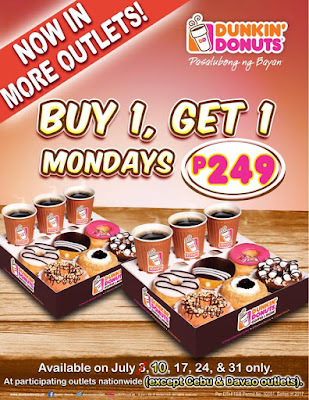 Check out Dunkin' Donuts Buy1 Get1 on Mondays Promo happening on ALL Mondays of July 2017! Buy 1 and Get another for P249 only! 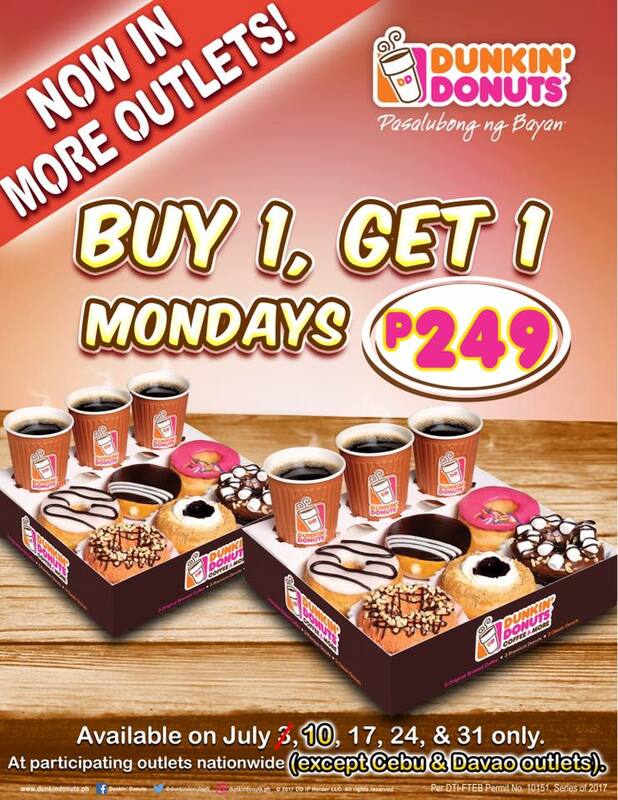 This promo is available at participating Dunkin' outlets nationwide (except Cebu and Davao). Promo includes 6 medium brewed coffees, 6 classic donuts, and 6 premium donuts!